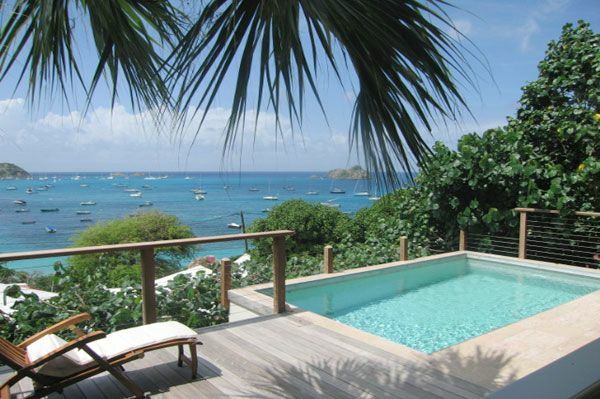 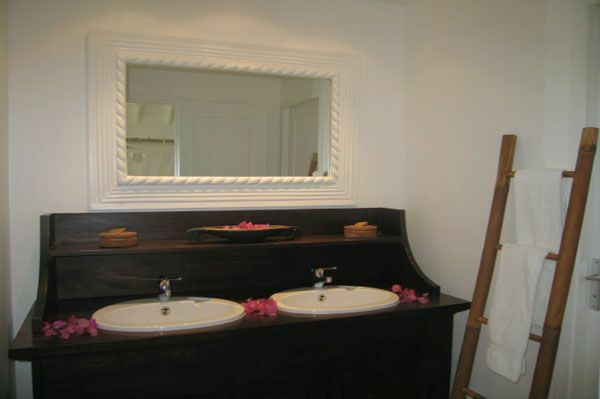 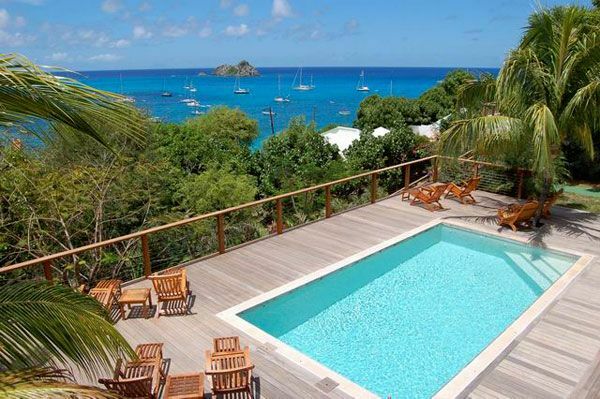 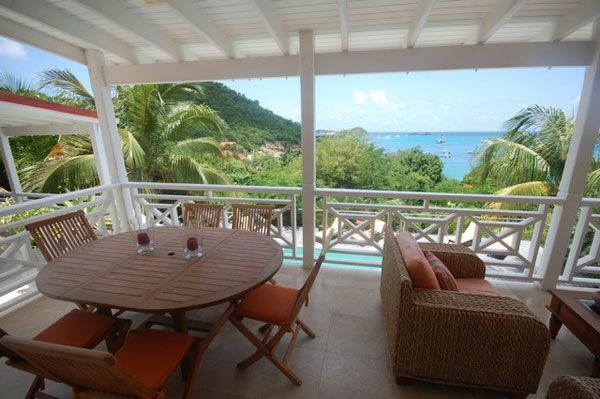 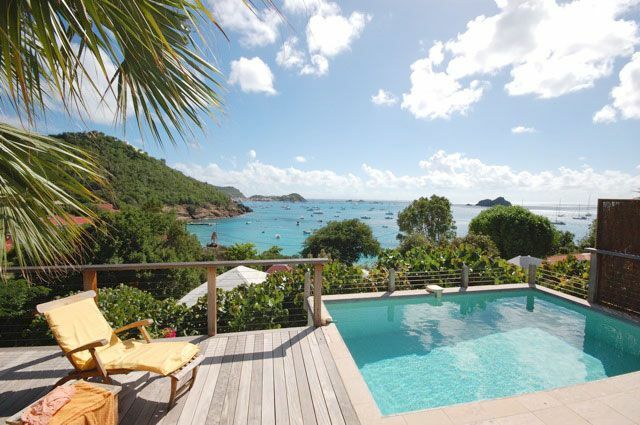 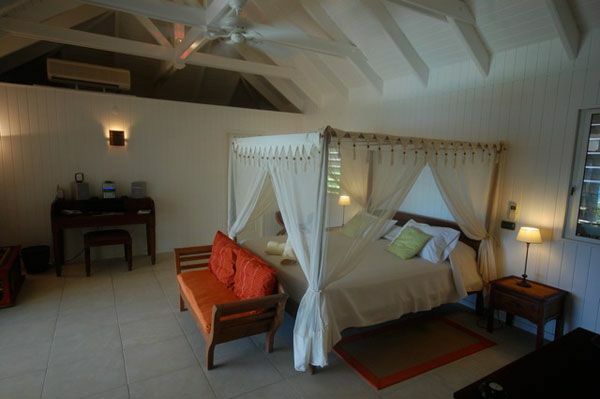 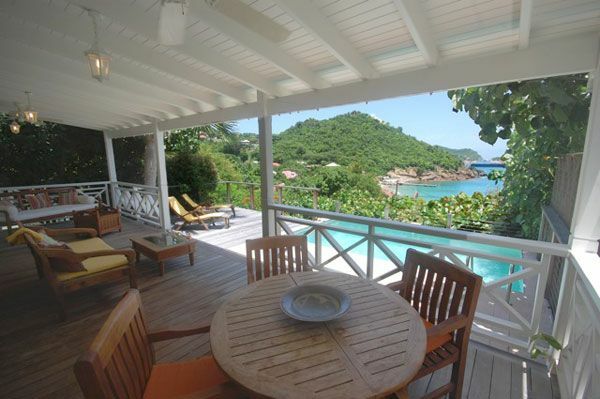 Villa HSTL and La Suite : Located in Corossol-St Barths, a property composed of 2 villas. 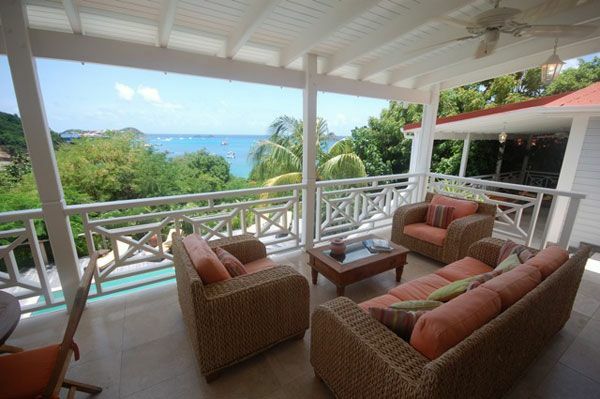 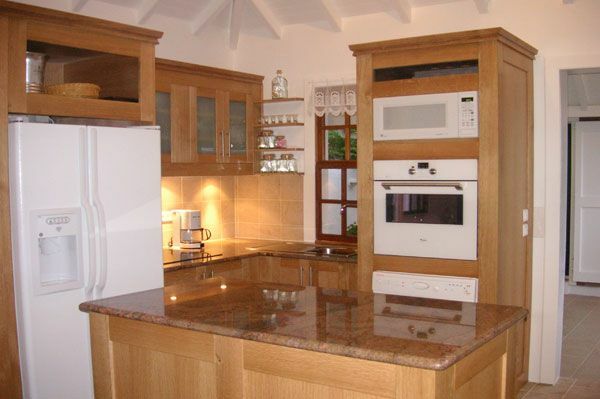 Villa HSTL consists in 4 bedrooms, 4 bathrooms, a living-room open onto a nice covered terrace, sunny terrace, pool. 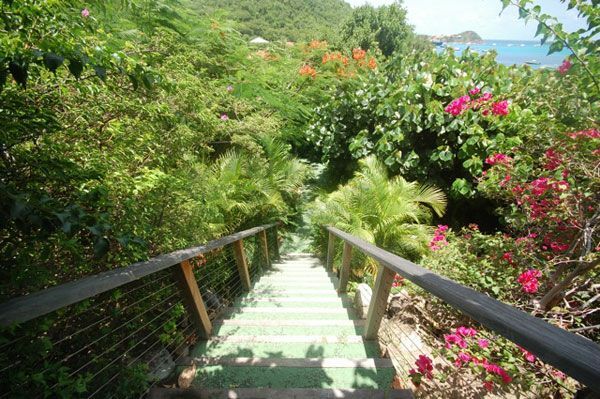 Beautiful view on the ocean, sunset, privacy and little private pass to go to the beach by the garden. 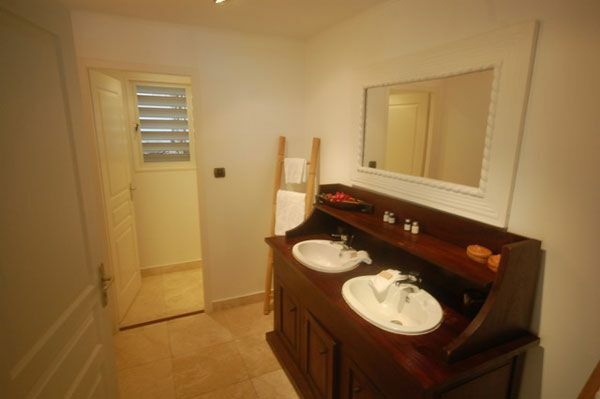 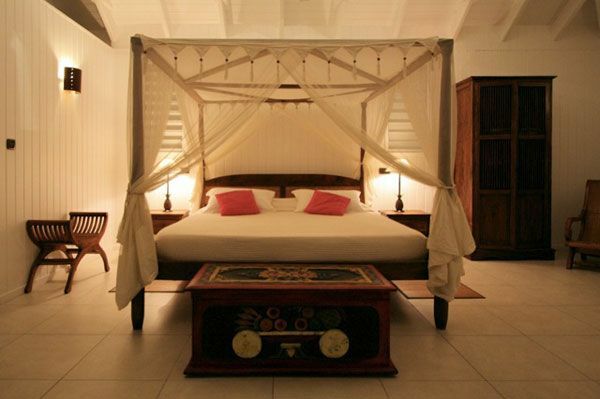 La Suite (or 5th bedroom) consists of 1 bedroom, 1 bathroom, small kitchen, terrace, pool. 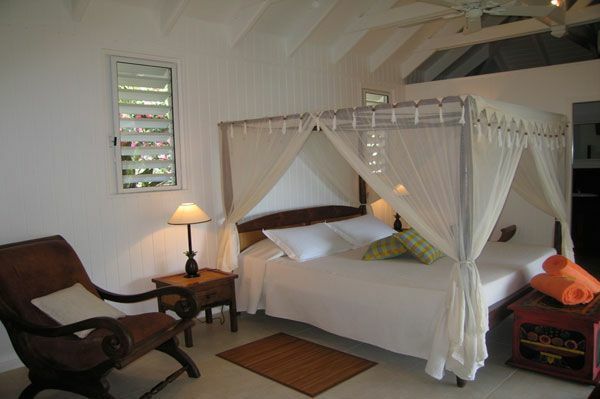 Nice Rattan furniture. 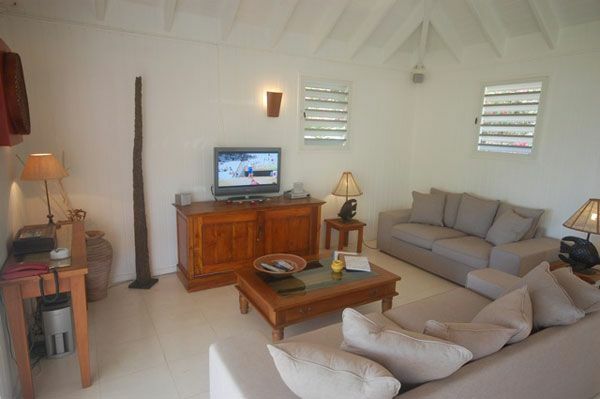 Fan, Flat screen TV with US & French satellite, DVD & CD players, Fax, WIFI. 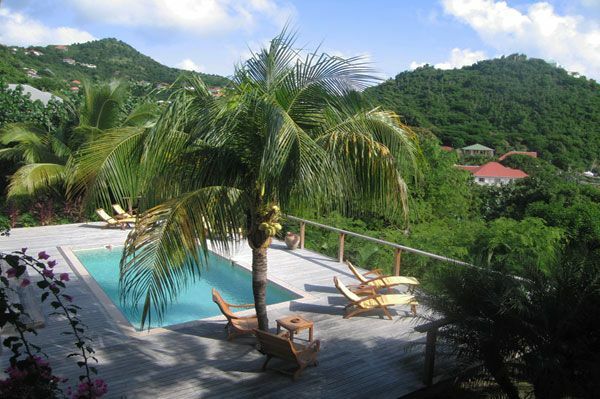 Large pool (main house), small pool (cottage La Suite)sunset view, direct access to the beach through lush tropical garden. 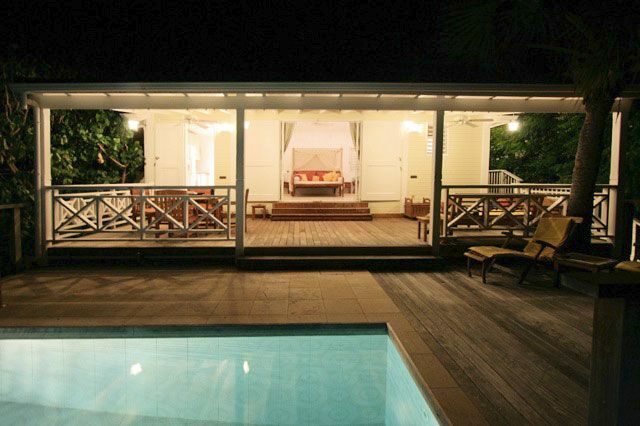 Daily maid Service, except Sundays & holiday. 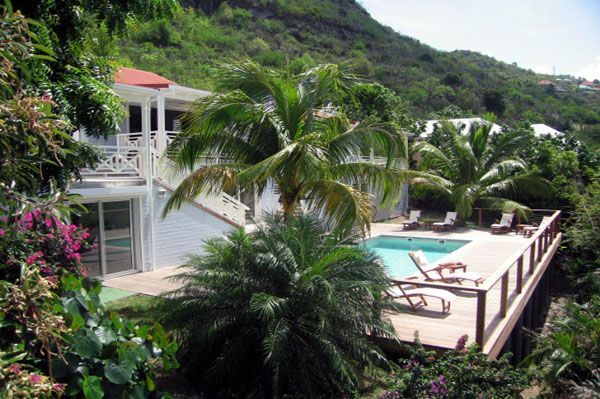 Two bedroom on the main floor, A bedroom on the lower level near the pool, The las bedroom is located in its independent cottage. 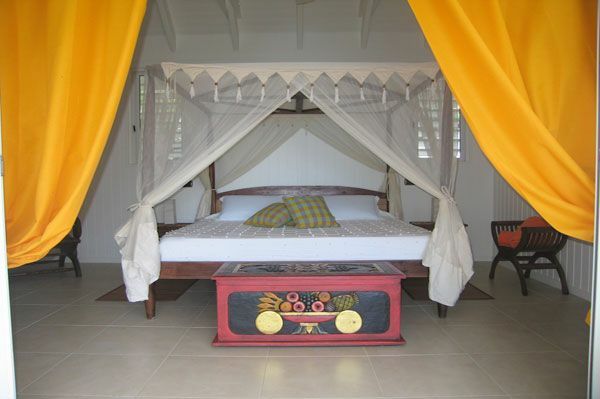 Bedroom 1 : King size bed, En-suite bathroom (shower), A/C, Fan, Mosquito net, Safe, Flatscreen TV & DVD player, Wifi. 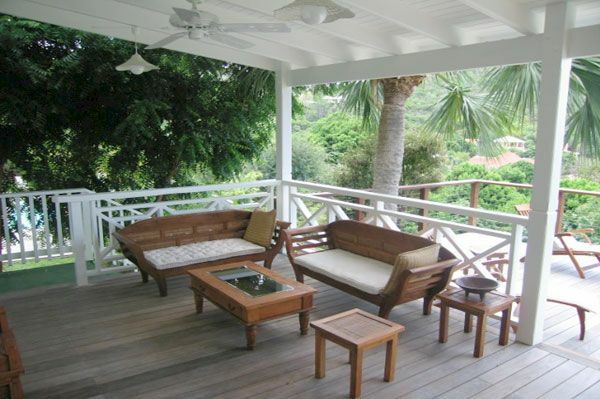 Covered terrace, Sea view, Furnished in teak. 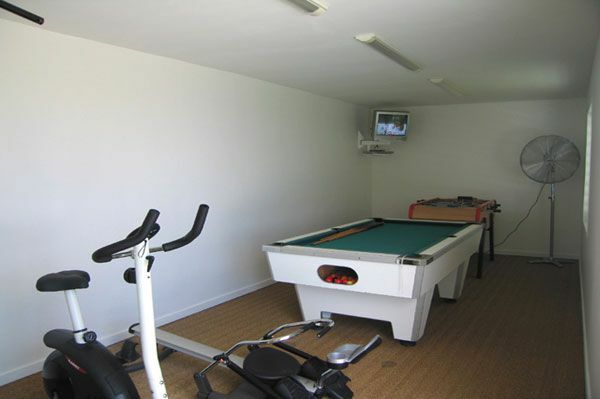 Fan. 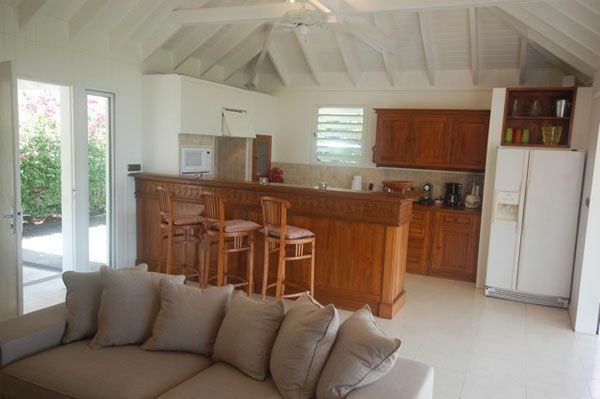 Well equipped kitchen (Stove & oven, Coffee maker, toaster, dishes for 4 persons), Small pool, sunset view, direct access to the beach through lush tropical garden.